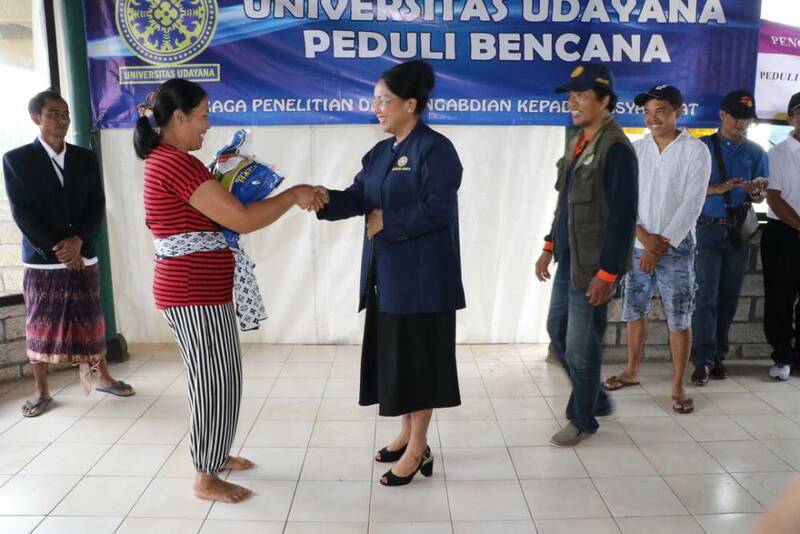 Karangasem - Udayana University conducted disaster mitigation activities to the location of displaced victims of Mount Agung eruption in Puri Boga Village, Pesaban Village, Rendang District, Karangasem Regency, Friday (19/1/2018). The activities coordinated by the Institute of Research and Community Service (LPPM) of Unud handed over aid in the form of logistics materials and water filter ready to drink for the refugees. The Unud group consisted of Rector, Chairman of the Senate, Vice Rector, Dean, Head of Institute, IKM Team, FT Unud Team and Persatuan Dharma Wanita were received by the coordinator of Refugees and Perbekel Desa Pesaban in Pos Puri Boga . The refugees who numbered about 188 souls or 45 families are from Banjar Temukus, Besakih village which is the area of ​​KRB 3 which is approximately 3 Km from the crater of Mount Agung. 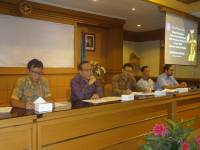 Chairman of LPPM Unud, Prof. Dr. Ir. 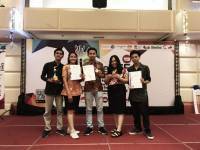 I Gede Rai Maya Temaja, MP stated that this activity was a continuation of previous activities which have been held since October. For Posko Puri Boga logistic assistance will be submitted to each KK considering there is no public kitchen. Previously, the same aid had been handed to refugee posts in Nongan Village, Les, Tembok and Samirenteng. This disaster mitigation activity was a form of concern for Unud to the refugees of Gunung Agung. In addition to the provision of assistance in the form of logistics, installation of drinking water filters, also provided assistance in health education and injecting livestock in the village of Nongan. The Chairman of LPPM hopes that the aid will be useful and ease the burden of the refugees.